There’s so much happening in Hughes & Kettner land these days we thought we’d start up a dedicated page to keep you all up-to-date on the latest comings and goings. Keep checking back to find out what’s happening with our amps, our artist family, and anything else that takes our fancy. Plus, don’t forget to keep visiting the Blog of Tone – here you’ll continue to get loads of great tips on how to ‘Meister’ your guitar sound, whether you’re rocking the stage, playing at home or recording at night. And, with NAMM 2015 just round the corner, we’ve got a bunch of great stuff planned for the next weeks and months – so don’t miss a beat of it! 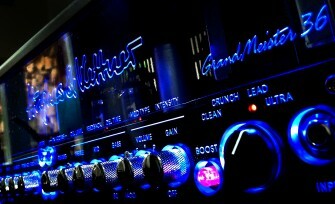 Your Hughes & Kettner Team.